Ekiti State Gov. Kayode Fayemi says he has no grudge against his predecessor, Chief Segun Oni, for challenging his election victory in court. 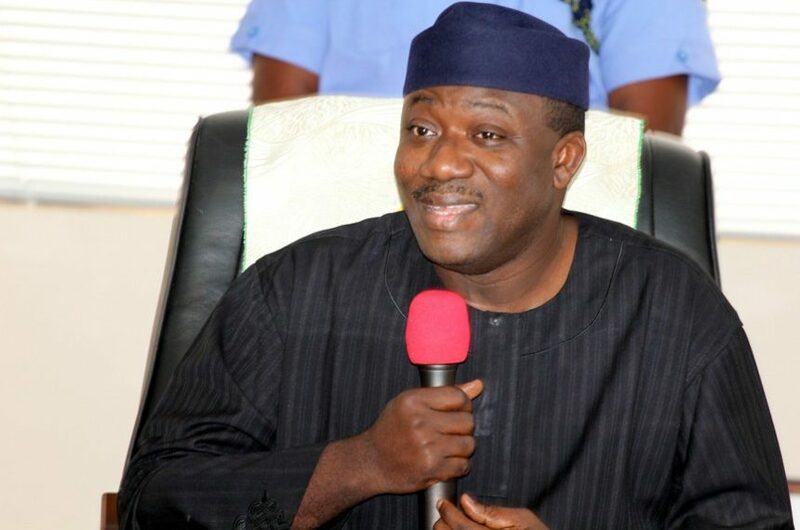 Fayemi spoke in Ado Ekiti on Wednesday while reacting to his victory at the Supreme Court in the eligibility suit filed by Oni. The governor, who bared his mind after swearing-in the new Head of Service, Mr. Ayodele Ajayi, said what bothered him, however, was the distractions. He said the Supreme Court judgment would now enable the state to move forward and end all contentions about his emergence. The governor also said the apex court judgment showed that he properly resigned in line with the constitutional provision, contrary to Oni’s claim. The governor further said the primaries of the party which produced him as All Progressives Congress (APC) governorship candidate in the state in 2018 was free, fair and devoid of manipulations. “Ekiti must move forward. Enough of these distractions. Enough of these recriminations over matters that ought not to go to court. ” It is very clear that I resigned in accordance with the constitution of the land and that the shenanigans that culminated in the White Paper that said Fayemi should not serve in public office have been dealt with in the appropriate law courts as the thrash that it was at the time. “It also shows clearly that the primaries that took place in Ekiti for anyone who is objective enough was the cleanest, the fairest and most credible primaries that had ever taken place in the history of electioneering in Nigeria. “Now that the highest court in the land has pronounced definitely on it, I hope he (Oni) would see it as a cue to play a more active role in the party. “Oni, to the best of my knowledge, remains a member of the APC. I don’t believe he has removed himself from the party. “But I think this would not lead to another round of recriminations and attacks,” he said. The governor, while swearing-in the new Head of Service, had urged him to be upright and provide the right leadership for the civil service. “We will not tolerate any breach of the accord we have signed with Ekiti people. Do your best, justify the confidence reposed in you. “Though people will be congratulating you, I commiserate with you because so much is expected of you, and you cannot afford to disappoint us,” Fayemi said. In his response, Ajayi pledged to provide strong leadership for the civil service in the state. Next article2 Police Officers Land In Hospital After Being Attacked By Nigerian Man In Italy.